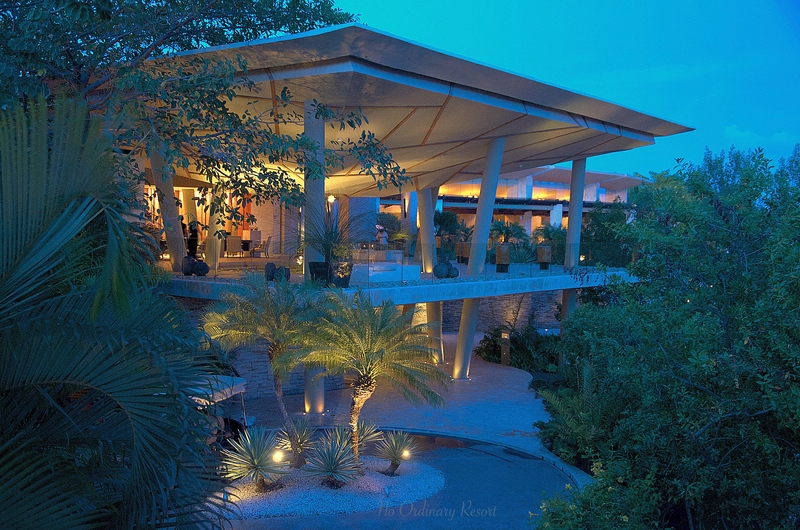 Located in the Riviera Maya just forty miles from Cancun, Mexico and four miles south from the charming town of Playa del Carmen, Rosewood occupies 20 acres in an upscale development called Mayakoba. 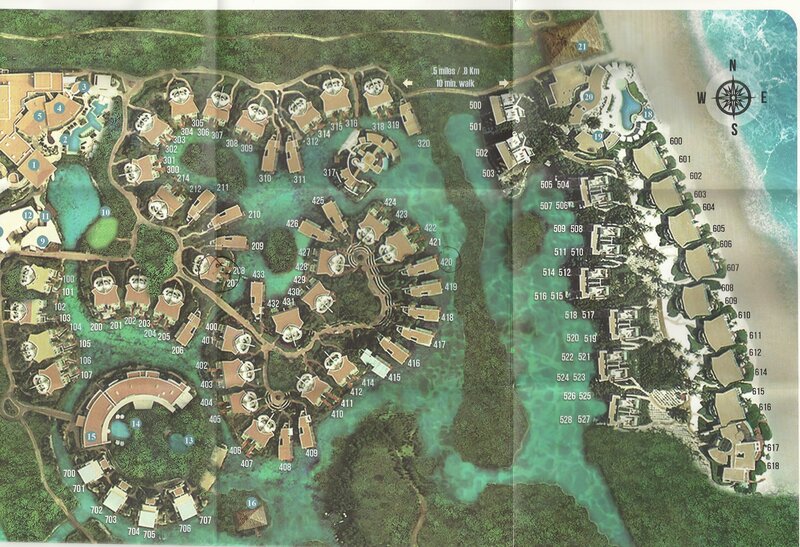 The Mayakoba development consists of thee luxury resorts ~ Rosewood, Banyan Tree, and the Fairmont; an 18 hole golf course, El Camaleón designed by Greg Norman; and private residences. These resorts are all surrounded by a beautiful lagoon and guests of each property can enjoy the experience of being serenely shuttled between resorts by boat or by car through a reciprocal agreement between the properties. The reciprocal program not only includes transportation between the hotels but also allows guests to charge to their room when visiting another property. It’s actually quite a convenient perk. Walkway from valet to lobby. Once you pass through the main Mayakoba entrance, you drive along a road surrounded by lush vegetation, half paved and half cobblestone. The cobblestone portion is quite bumpy and the drivers affectionately refer to the bumpiness as a Mexican massage. As you approach the Rosewood entrance, you arrive to the valet round-about which is pleasant but not opulent, surrounded by beautiful greenery, stone exterior and lantern style light fixtures. It isn’t until you make your way around a limestone walkway which reveals an open air lobby that you become in awe of what you’re seeing. 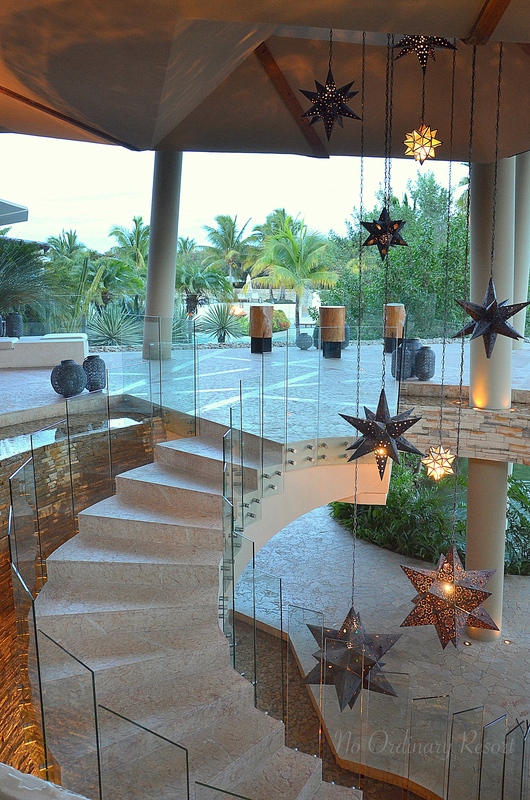 Your attention is immediately drawn to a large spiral stone and glass rail staircase with whimsical star shaped light fixtures hanging from the top of the ceiling down into the shaft of the spiral staircase. Beautiful lanterns in all shapes and sizes are strategically placed around the lobby and throughout the resort which are decorative by day and create a magical ambiance in the evenings. Beyond the lobby, your eyes wander to the view of the lagoon which weaves its way throughout the resort. Spiral staircase located in lobby. This property has a striking element in which I can only describe as having a dual personality. One side of the property was developed facing the emerald lagoon that is surrounded by tropical plants, wild life and emits a rain forest feeling, while the other side faces the picture perfect view of palm trees emerging from the white sand beach with the crystal clear turquoise water seducing you from beyond. 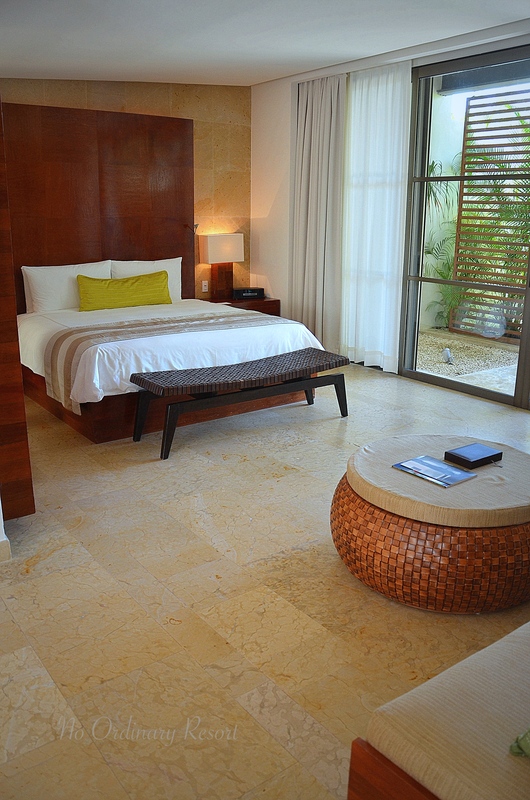 The resort is designed with a sophisticated elegance, simple clean lines, cream colored stone and dark wood accents. Splashes of color are used in textured fabrics, artwork, light fixtures and the use of indigenous materials such Banyan Tree branches as privacy barriers between the suites and other elements that add a local flair in keeping with the culture of the area. The resort seems to operate under a stealth mode of communication. Each employee wears a wire system which allows them to inform the approaching destination that you are arriving so they can personally greet you ~ this continues throughout your entire stay wherever you go. So needless to say, upon arrival from the airport, I was greeted by name by the valet and then led to the lobby where a cool terry cloth towel and a refreshing drink awaited me. I’ve stayed at many top luxury resorts so not much catches me off-guard these days, however, I was so impressed to see that my drink was presented to me with a monogrammed napkin with my initials. I’ve never seen this done before and it was quite a pleasant surprise. I was immediately feeling pampered and getting a glimpse of the extraordinary things to come. The paperwork process is simple as the resort usually gathers information prior to arrival so all I had to do upon check-in was confirm the information on-hand. I was then ushered down the spiral staircase to a boat awaiting me on the lagoon. Every guest is taken to their suite in this manner, it is quite a unique and exciting treat. 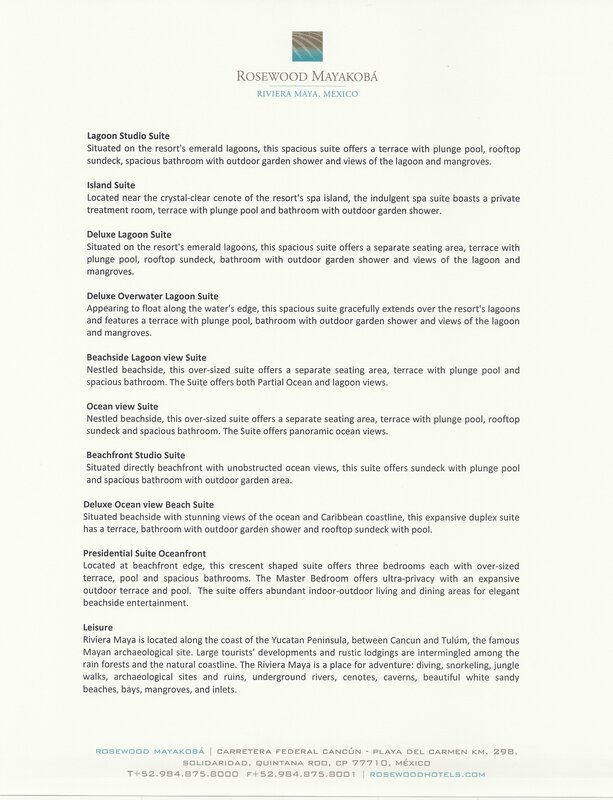 The resort has 130 guest suites and offers 8 different room categories plus three Presidential Suites (see descriptions here). Every suite on property offers a private plunge pool and a Butler to cater to your every need. The suites offer a complimentary welcome Tequila gift set along with fresh fruit bowls, espresso and teas which are refilled daily and a stocked minibar and snacks (at cost). 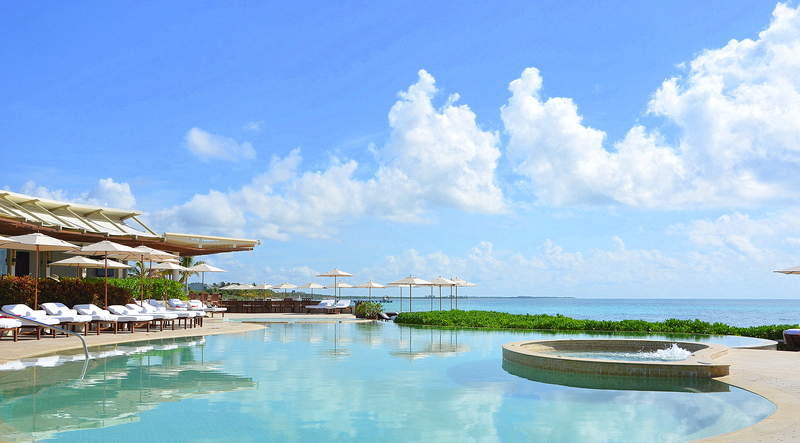 The majority of the resort suites are located on the lagoon side which places them the farthest from the beach. However, the resort does provide 24 hour golf cart transportation and each guest is assigned a bicycle cruiser which is extremely helpful in getting around the large property. The wonderful aspect of being on the lagoon is that it truly offers a unique and authentic feeling of being in a jungle or rain forest. As I sat on my deck in the mornings, I reveled in hearing the birds chatter and watching tiger fish swim around in the lagoon waters. It really made me feel as though I was in some exotic location. Lagoon Studio Suite ~ this is the most basic suite on property ~ meaning smallest room size, and yet ironically, this is the exact same floor plan as a Beachfront Studio Suite which is one of the more expensive suites available, but what’s the saying… “location, location, location” which is why the beachfront suite commands double the price that this room does. For those who enjoy staying close to the main reception building and breakfast restaurant, rooms 100-107 might be a good choice as they are located closest to the these buildings at the front of the resort. Suites 421-424 face the most open part of the lagoon where you may very likely see the resident alligators hanging out. The rest of the suites in this category seem to offer fairly similar settings. Deluxe Lagoon and Deluxe Overwater Lagoon Suites – these two suites are the exact same spacious floor plan with a bedroom and a large bathroom with outdoor shower on one side of the entry, and a very large living area and outdoor deck on the other side. The main difference is that the Deluxe Overwater Lagoon’s deck sits out over the water whereas the Lagoon Suite does have a boat dock but is tucked back and sits on land vs. being over the water and, therefore, does not offer the same view. A fact for couples with small children, one woman I was speaking with stated that she specifically chose the regular lagoon suite instead of the overwater suite because she had very small children and she thought the openness of the overwater deck would be a little to tempting to her children. 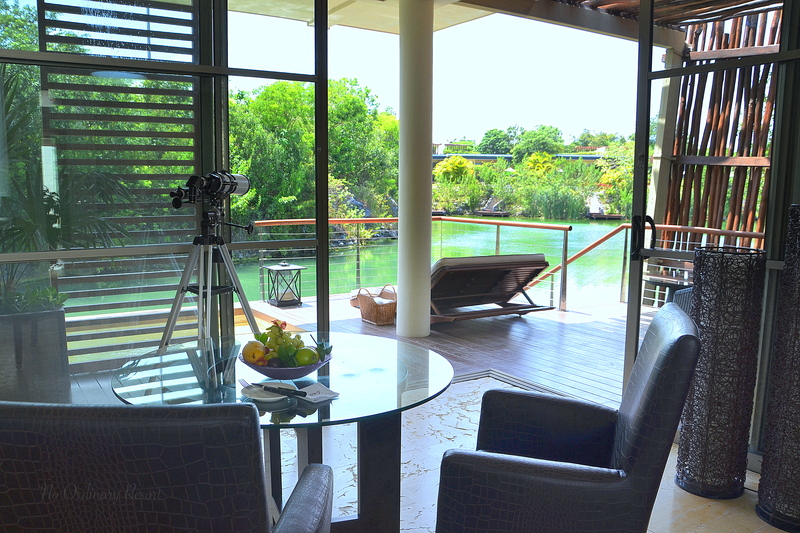 I absolutely loved staying in the Deluxe Overwater Lagoon Suite. Not everyone might agree with me but this was my favorite floor plan of all the suites I saw. I thought that the design of this space was well thought-out with large, floor to ceiling corner sliding doors that open up to the outside and there are many small window cut-outs that contribute to a wonderful indoor/outdoor living feel. Something to keep in mind when you are staying on the lagoon, the boats go by on a regular basis and can see onto your deck. It didn’t bother me, I rather enjoyed seeing the boats go by, but it’s something to keep in mind if you do like your privacy and the suites set on narrow inlets have a little less privacy. The very best Deluxe Overwater Lagoon Suite might be 320 as it has a more private location and is also in very close proximity to the beach ~ Suites 310 and 311 are also good choices for the same reason, other good choices for their more open views would be Suites 408, 409, 425 and 426. 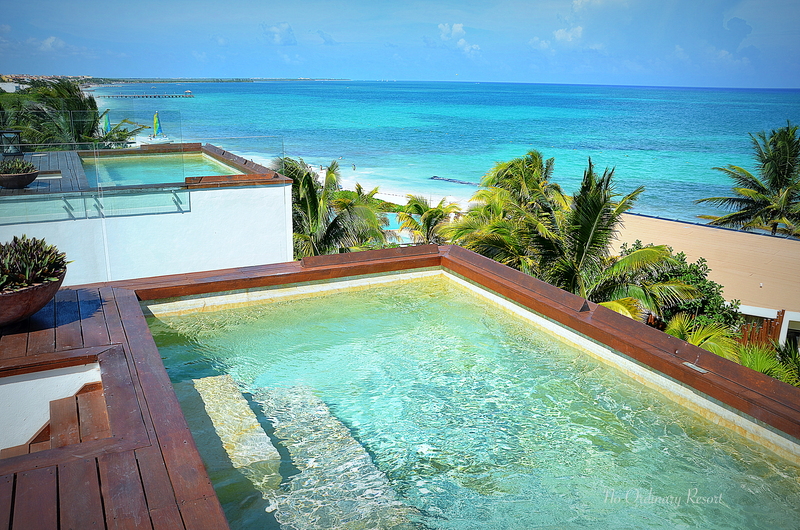 Island Suites: These suites are for the serious minded spa enthusiast. The units are nice with upstairs and downstairs areas and have in-suite treatment rooms. 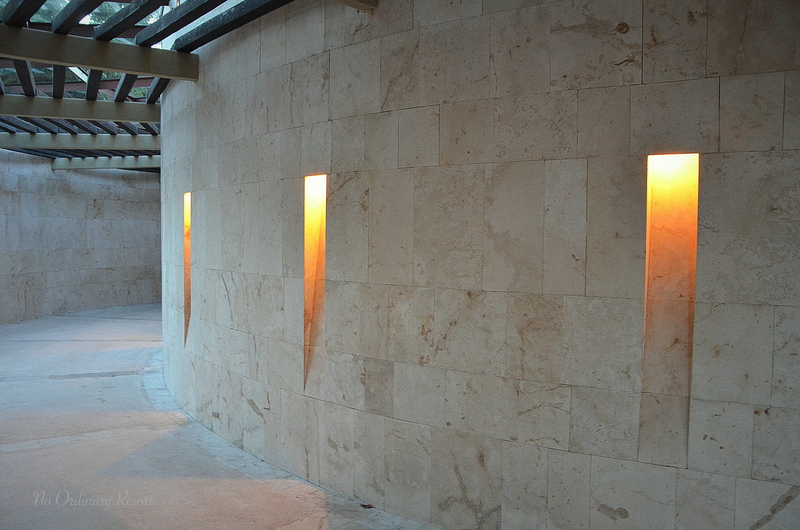 They are located right near the Sense Spa and Cenote on property. These units are only for adults. Beach suites are limited as there are probably approx. 30 suites (between beachfront and beachside units) that actually have ocean views. But let me tell you, it’s a breath-taking moment when you first feast your eyes on that crystal clear turquoise water. These suites are all walking distance to the beach and the Punta Bonita pool and restaurant, along with being close to all the water activities and kids club but are the farthest suites from the lobby and shops. Beachfront Studio Suite: As mentioned before, the Beachfront Studio Suite is the same exact floor plan as the resorts most basic suite…however…the location and view from these suites are priceless! You can soak in your plunge pool and listen to the waves crash and you are steps to the beach with your own private lounge chairs in front of your unit and personal staff that accommodates your needs. In my opinion, it’s the ultimate in beach decadence, and I personally would choose this suite every time. Deluxe Ocean View Beach Suite: These suites sit back one row from the beachfront suites but offer stunning ocean views from their rooftop sun deck and pools. These units are much larger than the Studio Suite and seemed to be the most popular with families that were visiting the property. If you have a larger family or want to combine two families, these units also connect to a lagoon view suite providing even more space. As you can see in the photo, if you and your neighbor are in your pools at the same time, you won’t have much privacy but it may be worth it for that stunning, panoramic view. 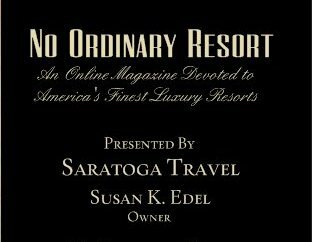 There are a few in-between categories but the ones I have listed are the most popular and abundant at the resort. There are three Presidential Suties that were occupied so I was not able to see them but one is located beachfront and looked quite nice from what I could see from the beach, another is located on the lagoon tucked in amongst the other lagoon suites, and finally there is Casa Laguna which is the resort residence and is located remotely for the ultimate privacy. This is the unit that most celebrities and high-end clientele stay in. The bottom line with room placement comes down to personal preference…or do what I did and stay half and half. I was really happy I experienced both. The Butler: A Butler is assigned to each suite to cater to your every need. It’s a very nice concept in the fact that you have one point of contact for anything you may need. They do anything from assisting you in packing and unpacking, to making dinner reservations, taking care of any unforeseen needs with your suite…really anything you need. My Butler would randomly pop-up out of nowhere to greet me while I was at the pool, beach or at lunch wanting to know if I needed anything. It felt quite decadent knowing that my Butler was there to cater to me. All I had to do was mention something in passing, for instance, wanting some coconuts from the tree and they would show up in my room. I mentioned I loved the ambient lighting from the hurricane lanterns and low and behold more candles showed up on my deck. It’s just another way that this resort goes over-the-top to service you and make you feel so important. The resort even has an app you can download on your smartphone or tablet that gives you access to your Butler, to make reservations at a restaurant or the spa and much more. I have never seen this done before but I thought it was a really convenient resource. The Sense Spa located on its own little island within the resort is aptly named as this little oasis offers something for all of your senses. This full-service, 17,000 sq. ft. retreat is located in the midst of a jungle setting with the lush vegetation creating a calming environment for you to completely relax. The spa facility along with a fitness center is open for all guests to use complimentary. I thoroughly enjoyed using the indoor therapeutic plunge pool and sitting in the aromatic steam room prior to my treatment. While waiting for my treatment to begin, I sat in the outdoor waiting room listening to the rhythmic sound of the water feature and I was offered an aloe vera beverage that was delicious. There is also an adult only swimming pool located here if you are looking for a relaxing place to swim. I highly recommend taking advantage of the use of this facility even if you do not get a treatment. It’s so rejuvenating. The resort offers several different on-site dining options with themed dinners on various nights which you will find in your activities directory in your room. Casa del Lago is open for all day dining offering breakfast, lunch and dinner. If your resort package includes breakfast this is where you will come for it. I unfortunately did not have breakfast included so I cannot speak to it personally but I heard it was good. I did enjoy the Italian cuisine served at dinner. Punta Bonita is the restaurant located by the beach and pool and serves a casual Mexican lunch menu and a delicious tapas style and seafood menu at dinner. 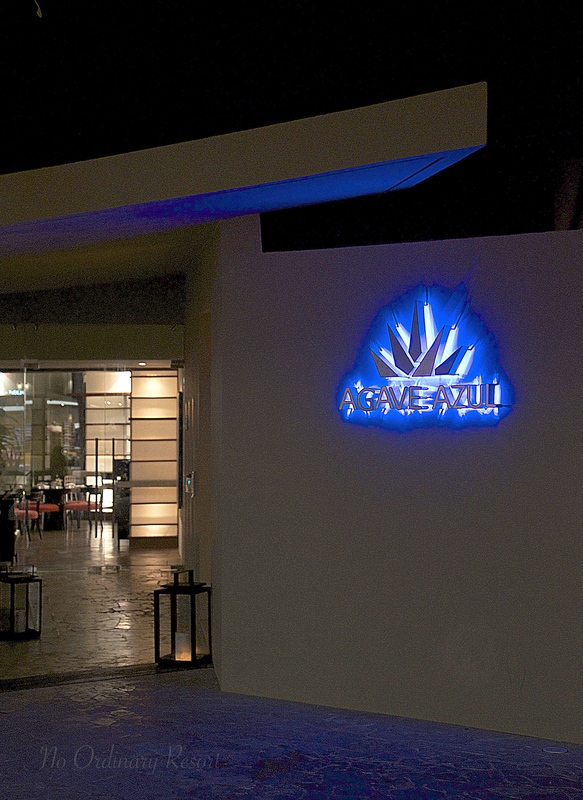 Agave-Azul is a sushi and tequila bar. This is a quaint restaurant with limited tables so reservations are highly recommended each night. Other options include in-room dining, a romantic dinner set under the stars and decorative illuminated lights in a private nook, and the option of being driven to the Fairmont or Banyan Tree to experience one of their restaurants. I’ll give a little shout-out to Banyon Tree’s Saffron Restaurant, it was a little pricey but really good. Take note, tips are included on each bill so no need to give an additional tip unless you are feeling generous. There are no lack of pools at this resort. Along with the private plunge pools located with each suite, the property offers three resort pools ~ the beautifully designed Casa del Lago pool located near the front of the property, the beachfront infinity pool and the adult-only spa pool. During my stay, I chose the beachfront pool which seemed to be the most popular and kid friendly. Both the Casa del Lago and beachfront pools offer cabanas on a complimentary first-come, first-serve basis and have ample lounge chairs located around the pool and facing the beach. The pool staff is amazing! 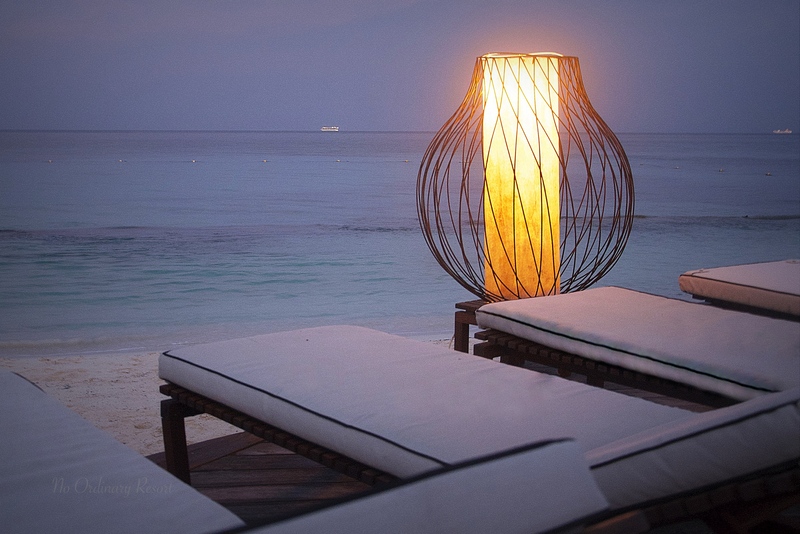 From the moment you arrive, they set up your lounge chairs to your satisfaction, set you up with an ice bucket filled with water bottles and consistently stop by to see if there is anything you need. Throughout the day, treats such as popsicles, snacks, and even facial massages and sunglass cleaning services are offered for your comfort. 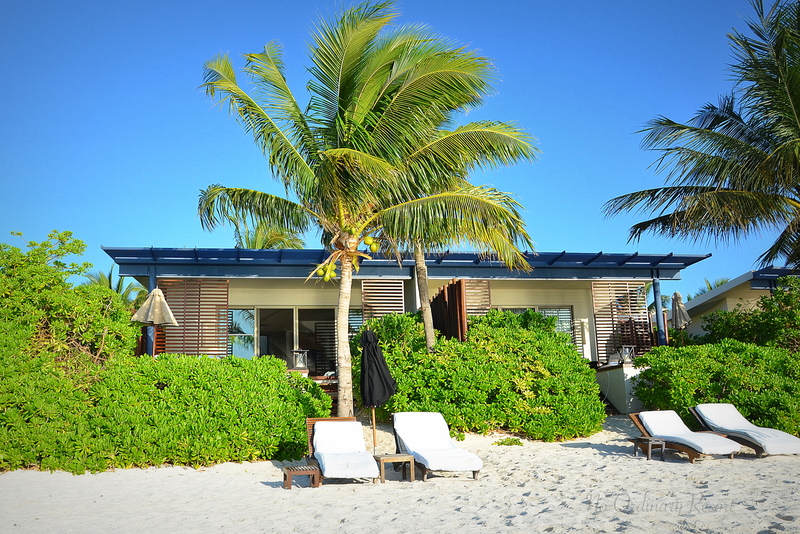 The resort also sets up numerous lounge chairs with umbrellas and some cabanas directly on the beach. The beach is gorgeous with its white sand against the beautiful turquoise water. When the current is calm, you can see straight through to the bottom. The water is warm and swimmable although it is a rocky bottom so I do suggest wearing water shoes. 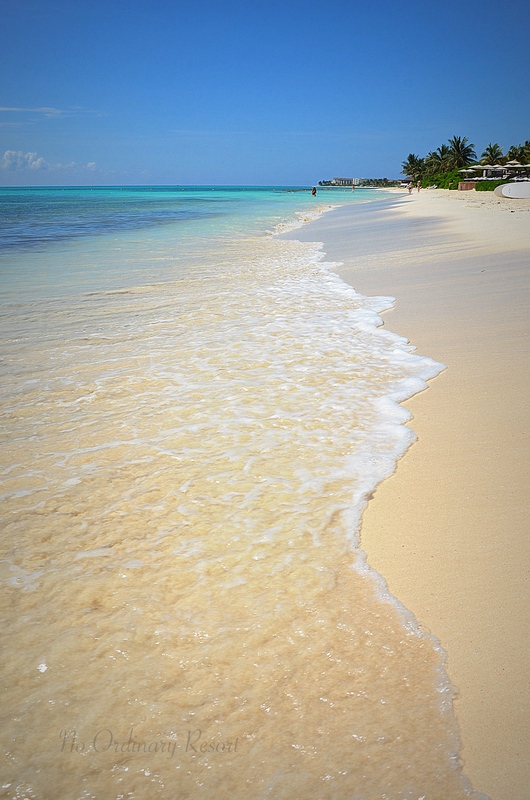 The shoreline at all the Mayakoba beaches have recently (Aug 2014) experienced some loss of their shoreline and therefore have had to place large sand bags in the water to help diffuse this situation. 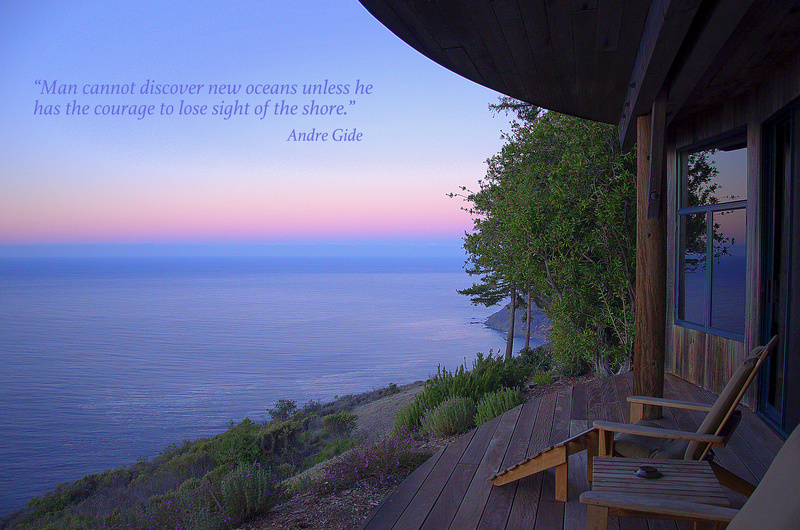 It’s not too intrusive but does take away a little from the natural beauty of the shoreline. Complimentary, non-motorized activities such as snorkeling equipment, paddle boards, kayaks and even catamarans are offered. I thought this was a great perk and took advantage of it each day. 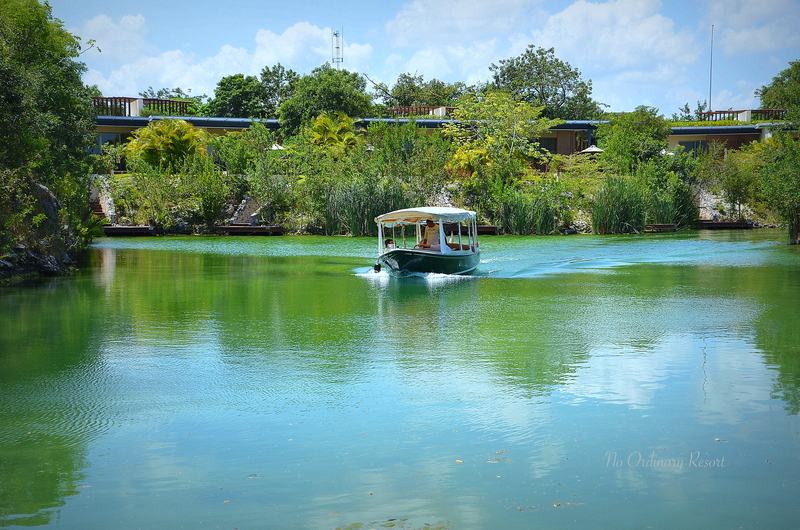 Eco tours are available everyday where guests are taken around the resort by boat on the lagoon and the guide points out the local habitat and cenotes located on property. If you’re lucky, you’ll get to meet the resident alligators, Alex and Sophie…and the six new babies. The most popular activity onsite was Rose Buds. This is the kids club that offers amazing activities such as yoga, ceramic painting, cooking classes and so much more. I’ve never heard so many children telling their parents they wanted to leave the pool to go to the kids club. I was almost jealous that I was too old for the program. Just walking around the resort is an activity in itself. The gorgeous architecture and landscaping are mesmerizing and you will come across many of the local residents such as the iguana’s, coati’s, 160 species of birds and other wildlife that abound. Playa del Carmen: Playa del Carmen is a short cab ride from the Rosewood resort and a fun trip into town for a day or dinner. This is an authentic town and is a shopping mecca…30 blocks of some newer high-end shops, some local shops and numerous restaurants that will keep you occupied for hours. 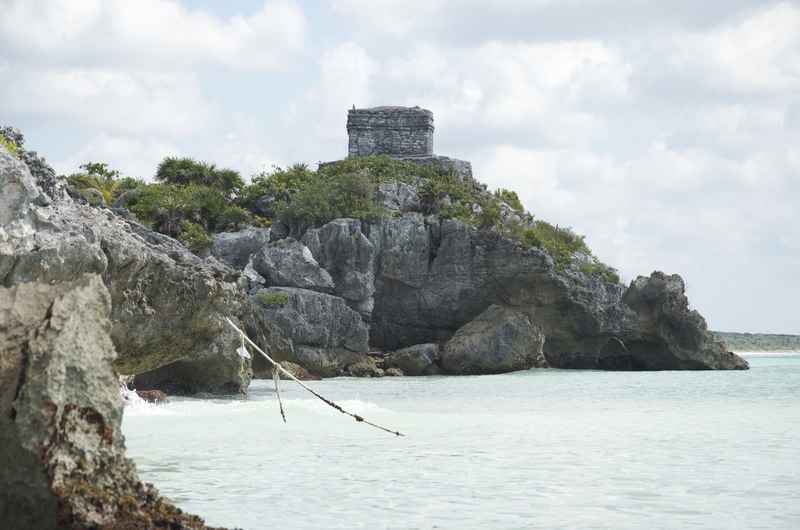 Tulum: Tulum is approximately a one hour drive from Mayakoba and well worth the trip. This is the site of a pre-Columbian city located on the crystal blue waters of the Caribbean. I arranged for a private tour through the resort and it was an extremely pleasant experience as I was able to do everything on my own time and my driver was willing to make several diversions along the way including having lunch at a wonderful little beach that looked like a Corona commercial. Coba: Coba is another pre-Columbian city located near Tulum and many tours will include both Coba and Tulum together. I did not go to Coba but will do it the next time. Chichen Itza: Chichen Itza is probably one of the most famous ruins in Mexico and has been designated as a World Heritage site and is one of the New 7 Wonders of the World. This is about 2-1/2 hours from the resort and will be an all-day excursion. Cozumel: Cozumel is an island directly across from Playa del Carmen and is easily accessible by ferry. It is a popular stop for the cruise ships and is known as a good diving location. There is a reason why the Rosewood Mayakoba resides on every prestigious “best of” list out there, and it has now jumped to the top of my “best of” list as well. 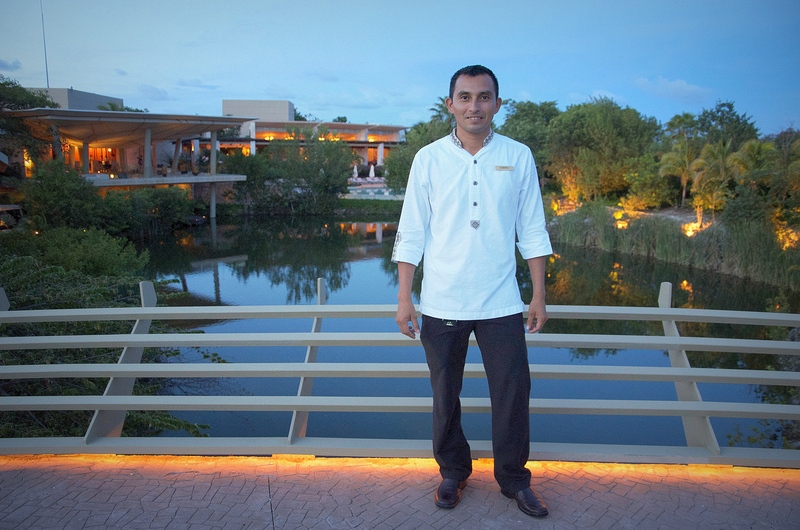 This resort goes above and beyond when it comes to customer service and every single employee makes it their personal commitment to please every single guest. This is proven by the fact that the Rosewood claims to have a 60+% return clientele and I can personally attest to meeting numerous guests who were there on their third or fourth visit…and many of them were staying for a two week period. I found it amusing that you could always tell when someone was checking out as they were riding off on the golf cart with a huge frown on their face…me included! I may even have had a tear rolling down my cheek. Until next time Rosewood Mayakoba! Would you share if you tipped the butlers? We are unsure how much to do at the end? We did tip the butlers, but based on the fact that you are told tips are included in your bill, we tipped them on a daily basis as they helped us with individual requests versus at the end of our trip, that way we were assured that the actual person who performed the task for us was tipped. I guess looking back, we may have been tipping about $20-30/day x 7 days = $140-210 per stay. I think it will need to be at your discretion as to how much you utilized their services and if they did anything special for you.